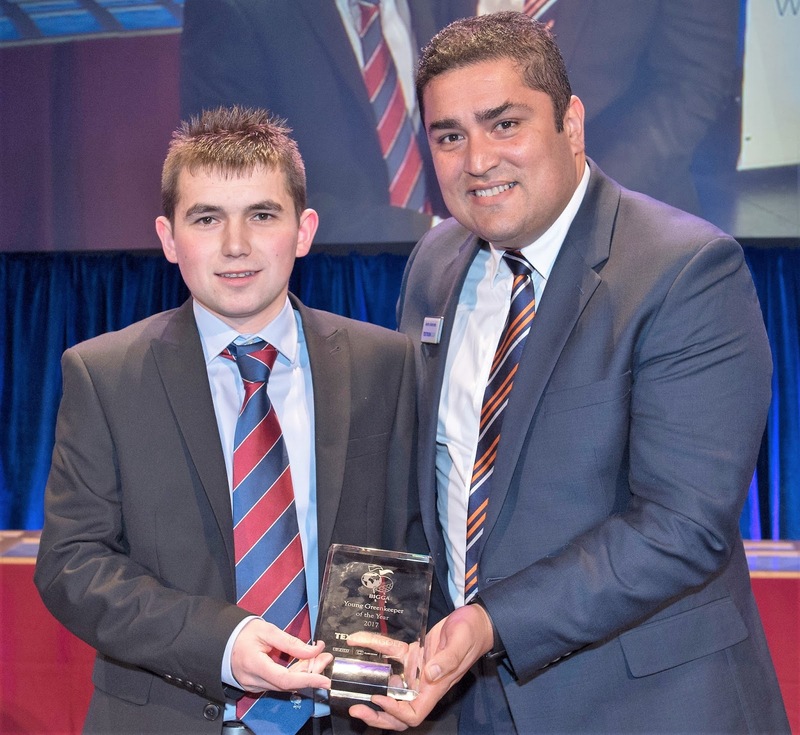 Talented young far North of Scotland-based greenkeeper Alistair Morrison is celebrating after winning a BIGGA Award at BTME 2018. Alistair (25), pictured receiving his award trophy from Andre Andrade of Textron Golf, is head greenkeeper at Durness Golf Club and was announced as the winner of the BIGGA Young Greenkeeper of the Year Award sponsored by Textron Golf at an awards ceremony held this evening. Alistair began his career as an apprentice at Brora, before moving back to his hometown club at Durness. As the only member of the greenkeeping team at the most north-westerly course on mainland Britain, the role requires a huge amount of dedication and commitment to personal development and the development of the course. During his three years at Brora, Alistair volunteered at three European Tour events, including the European Masters in Switzerland. Alistair’s award was announced by television presenter and ThisGirlGolfs ambassador Naga Munchetty at the BIGGA Welcome Celebration sponsored by Textron Golf. He was presented with his award by Andre Andrade, director of international sales at Textron Golf. The awards ceremony is one of the highlights of BTME 2018, the premier turf management exhibition in Europe. The other finalists of the award were Angus Roberts of Roxburghe Hotel and Golf Club and Carl Sharp of Royal Mid-Surrey Golf Club.